A new research unit focusing on fashion will be launched at Goldsmiths, as a collaboration between the departments of Design, Media and Communications, Visual Culture, Sociology, ICCE, IMS, Computing and Art, and following the success of the Design Department’s new MA in Fashion. For its first two years, the Fashion Research Unit will be based in the Department of Media and Communications, with Prof Angela McRobbie as Director. 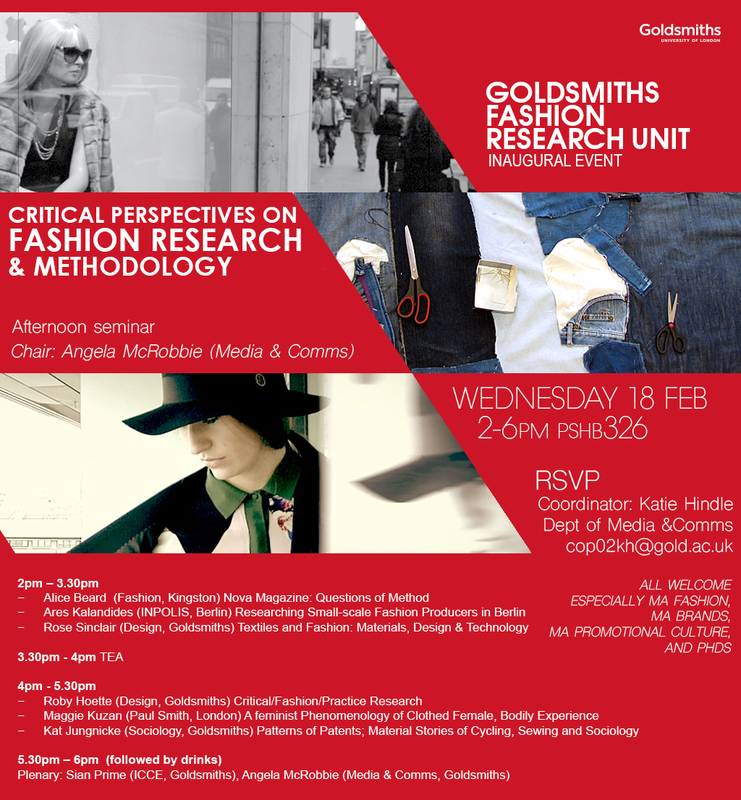 The inaugural event organised by the new unit will be an afternoon seminar, “Critical Perspectives on Fashion Research and Methodology”, on February 18th, starting 2 pm. Entry to the event is free (email Katie Hindle, cop02kh[@]gold.ac.uk, to RSVP) – you can find a full list of speakers on the Goldsmiths website.